My 3 Monsters: Awwwwww, Yeah! 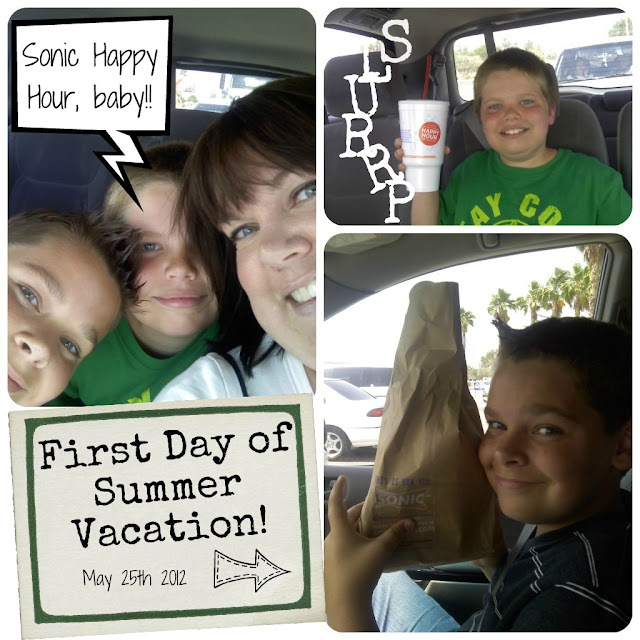 Me and my boys, driving to Sonic for 50 cent corndogs and half price slushes, listening to Karmin, drinkin' in the summer goodness. Does life get better than this?! Look at all those pretty blue eyes! Happy summer to you, we have one more week and then that will be us. But we don't have a Sonic close by, so sad I know!